Oh The Places You'll Go First Birthday Cake Smash | Happy Birthday, Mallika! One of my favorite things about being a cake smash photographer is when I get to work with clients who are just as excited about planning their baby's birthday photo session as I am! 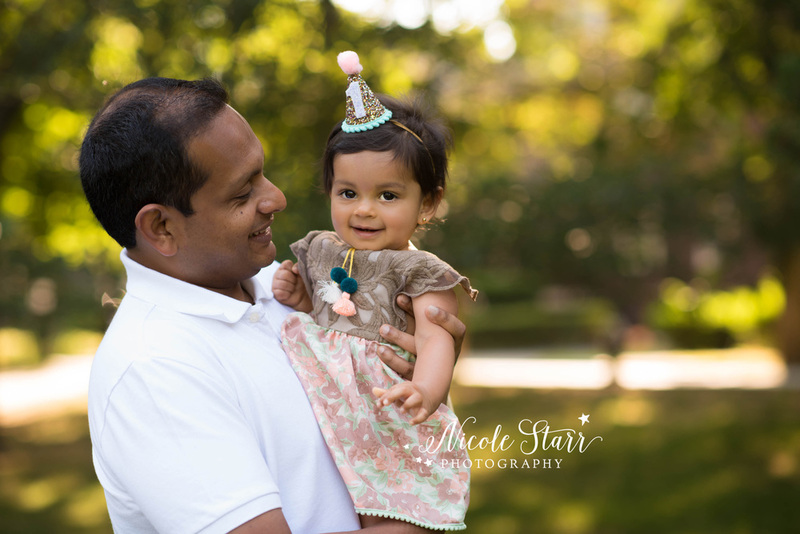 When Mallika's mom first contacted me about her daughter's cake smash, I instantly knew that we would be a great fit. She had so many beautiful ideas for her daughter's birthday session, and it was really important to her that we create just the right look & style for her cake smash set up. After many conversations, we decided that what she really wanted was a simple, classic, and minimalist look with a focus on the baby. That is just my style! :o) Bring on the pure white seamless paper! She also wanted to incorporate the soft colors and a quote from her favorite book, Dr. Seuss's "Oh the Places You'll Go". After I saw a picture of her beautiful little romper from The Stag and the Swan, the whole set came together in my mind and I loved bringing it to life! 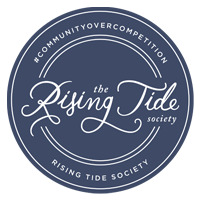 I've been dabbling in calligraphy ever since attending a hand-lettering workshop with Sip & Script Boston (check out their page for a fun ladies' night out, and a new alternative to a paint night!). Creating this calligraphy backdrop was my largest project to date, and I couldn't be more pleased with how it all came together for this charming little girl's birthday. The little birthday girl, Mals, sure looks like she loved it too, doesn't she? One of my tried & true tricks for engaging one year olds during their photo session is to hide puffs in the frosting or on my white flokati rug. If you are around any babies at all, you know that puffs are everyone's favorite snack and they are always a huge hit with these little ones. Plus, they blend into the carpet or frosting, are small enough to fit into their tiny hands, and they do not leave a trace of crumbs on their teeth. They are the perfect photo shoot snack! Mallika loved her puffs, and they kept her quite entertained while sitting on my curved bench prop. I just love that in this photo, she has everything she could ever need -- a helping hand from her mom, and a snack within reaching distance. Full bellies make for happy babies! 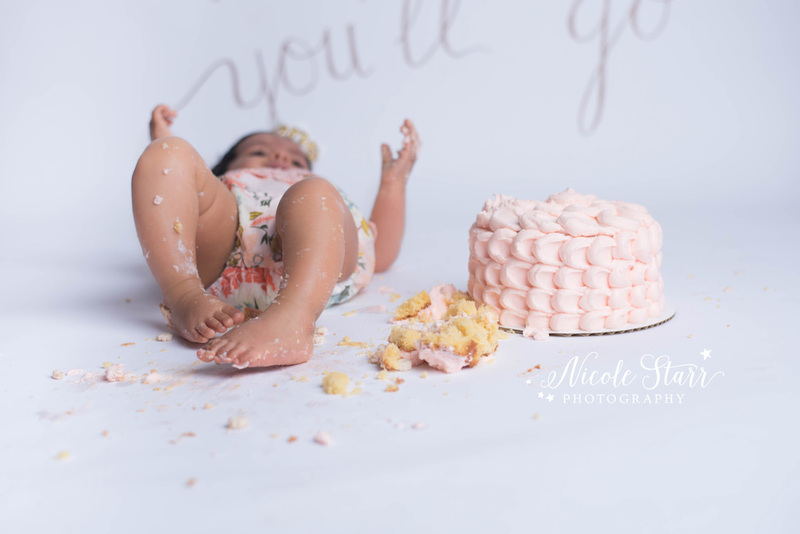 In typical one-year old fashion, it's not uncommon for our cake smash sessions to end with a couple of tears. After all, if someone gave you an entire cake and let you go to town on it, and then took it away from you just when it was starting to get really fun, wouldn't you want to cry, too? I think that these moments are just as cute & frame-worthy as the happy clapping, the bubbly laughter, and the sparkling eyes. I always make sure to keep shooting when the tears start to come out, and it definitely makes for some fun memories! Finally, a couple of family photos to celebrate surviving (and thriving in!) their first year of parenthood. Congratulations, P. family! Your family is absolutely beautiful, and I am so thankful that you invited me into your lives to capture this milestone for you to enjoy. 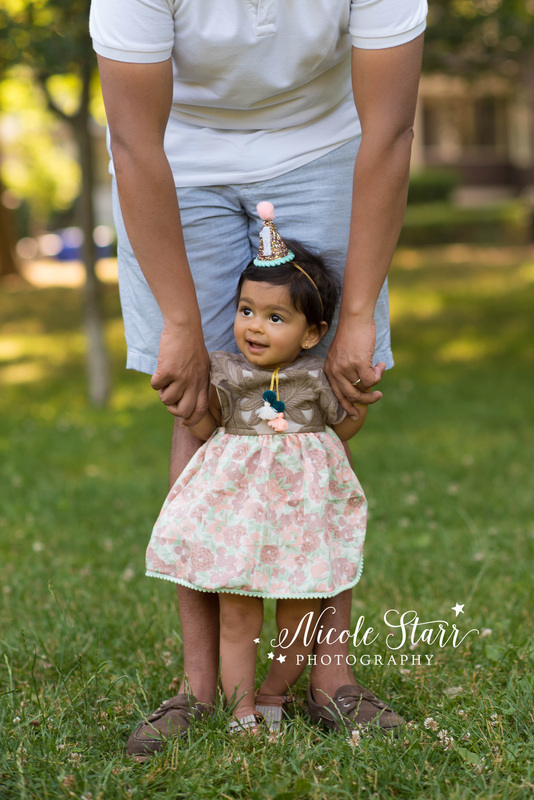 Nicole Starr is a newborn, baby & family photographer in Saratoga Springs, NY and Boston, MA. She is a storyteller with a camera who specializes in airy images that capture the everyday magic in your family’s life.